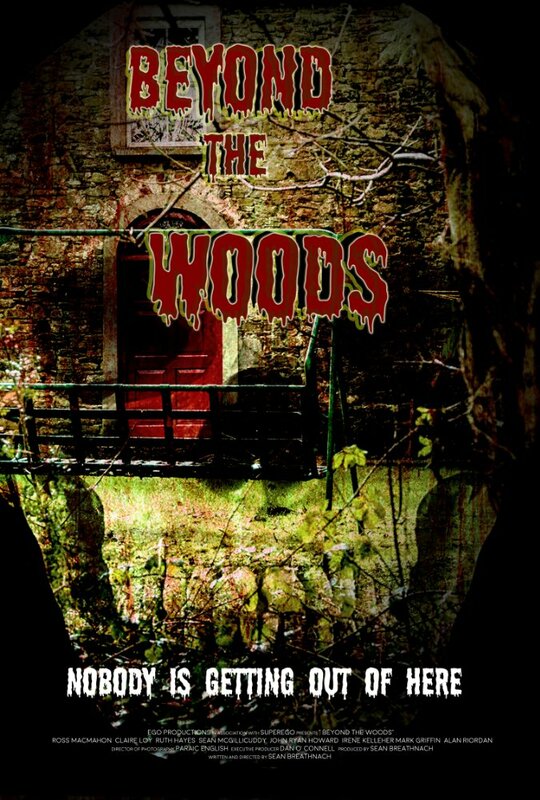 In a secluded cabin in an Irish woods a gathering of friends meet up for drinks, drugs and good times. Their good times are cut short though as someone or something, has risen from the sinkhole that is nearby and is out to get them one soul at a time. A simple cabin in the woods setup with a supernatural element that is big on atmosphere and not much else. At times you will find the characters conversations repetitive and you can only hope that the killer will get to them sooner then later. Unfortunately it is the latter as it takes about 45 minutes before something actually happens. Those who are looking for the woods to run red will be disappointed but the creature has a great look to it. There is some great looking locations throughout which will put people at ease until the final act of the film. 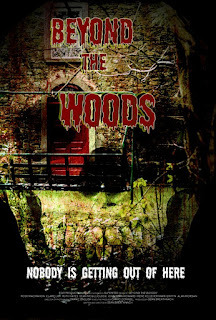 Sean Breathnach has previously made short films and being that this is his first foray into feature length films, some details can be overlooked as BEYOND THE WOODS shows he has alot of potential if he can be reigned in.